The Yukon Kuskokwim Delta is the home of the Yupik (also spelled Yup’ik or Yupiq) Eskimo. The Yupik have a fascinating culture that has allowed them to not just to survive but to thrive in one of the most difficult environments in the world. Although the term Eskimo is commonly used, it is a term created by anthropologists to distinguish Native cultures that developed in circumpolar regions. The Yupik (and other “Eskimo” groups) do not consider themselves Eskimo. They are simply Yupik, a distinctive race in and of itself. Indeed, the word yupik literally means “the real people”. In my experience some Yupik use the term Eskimo regularly and a few consider it deragotory. Historically, Yupik communities were made up of extended family groups that traveled according to the seasons and migrations of animals. Summers were times of great activity spent fishing, hunting, trapping, gathering and preparing for the long winter months. For the Yupik, the wetlands and tundra of southwest Alaska are abundant with food sources, but even so, it took a great deal of preparation to survive the winter and starvation was a constant threat. Winters were spent in permanent semi-subterranean homes and were a time of teaching and social activity. Men and older boys lived together in a large communal house called a “Qasgiq” which also served as a community center for social activities. Women and children lived in smaller homes called “ena”. 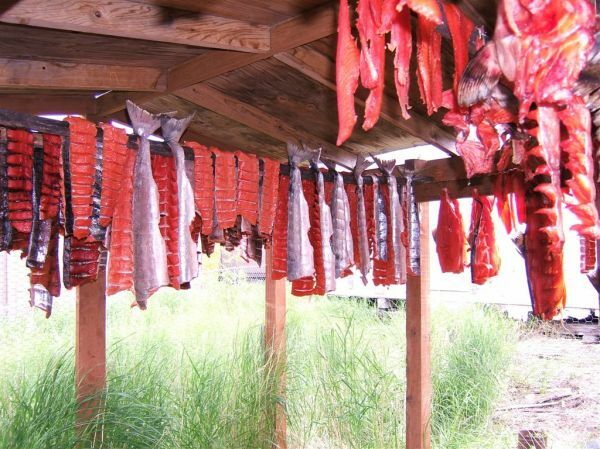 Countless hours would be spent as the men taught the boys hunting and survival skills, how to make weapons, and tools and the women taught the girls how to sew, prepare skins, cook, etc… At times the whole community would gather in the qasgiq while the elders would tell stories of their people and history. Often other villages would be invited for festivals and dancing. Dancing was, and still is, a very important part of Eskimo culture. It was a valuable tool for passing on their oral traditions and histories. 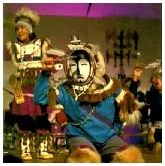 Click here to see traditional Yupik dancing. Due to a lack of commercially valuable resources, contact with the outside world came much later for the Yupik than other American natives. The Russians were the first to set up outposts in the Yukon Kuskokwim Delta in the 1800s and in 1884 Moravian missionaries established a mission that would eventually become the town of Bethel. By the end of the nineteenth century there were government established schools in southwest Alaska. By the 1950s the face of the YK Delta had been dramatically changed. Permanent villages had been established along the coast and rivers that serve as a source of food as well as routes of transportation. Due to the lateness of contact with western influences, the Yupik have retained more of their original culture that any American Native group. Great emphasis is still placed on the leadership of elders and the extended family relationships. Cooperation, harmony, and sharing have always been necessary for the survival of the community and are still hallmarks of Yupik culture. The Yupik have their own language, also called Yupik, and it is one of the most commonly spoken Native American languages. 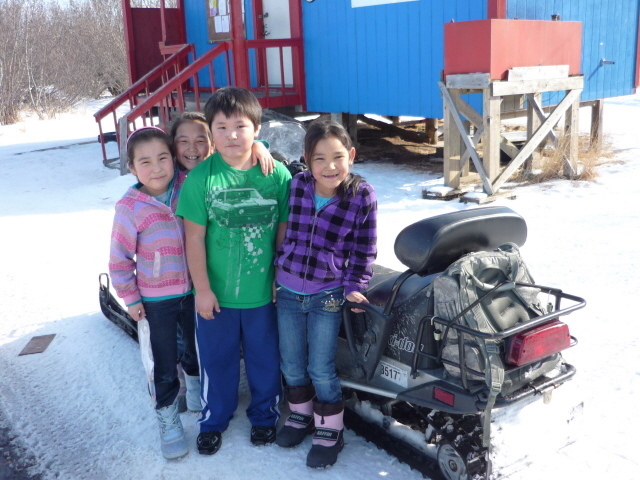 Though most younger people no longer speak it fluently, it is still the first language for many Yupik. Although modern written Yupik uses the Latin alphabet that we are familiar with, there are many sounds that have no corresponding value in English and vice versa. Click here to see a glossary of Yupik words and their pronunciation. Piskutsin nunam kaingane pile kilagamitun. Though villages today look far different and have many more modern conveniences than they did forty years ago, most Americans would consider them quite primitive. Today, each village has their own school, a small store or two for groceries, a clinic, post office, and power plant for electricity. Some have running water but many villages still use honey buckets. Villagers still depend heavily on subsistence activities such as hunting and fishing and the year revolves around these activities. Some generate income by making and selling the carvings and native crafts that the Yupik are known for. The introduction of TV, and more recently, the internet have brought tremendous change as they have made the outside world a more familiar place. 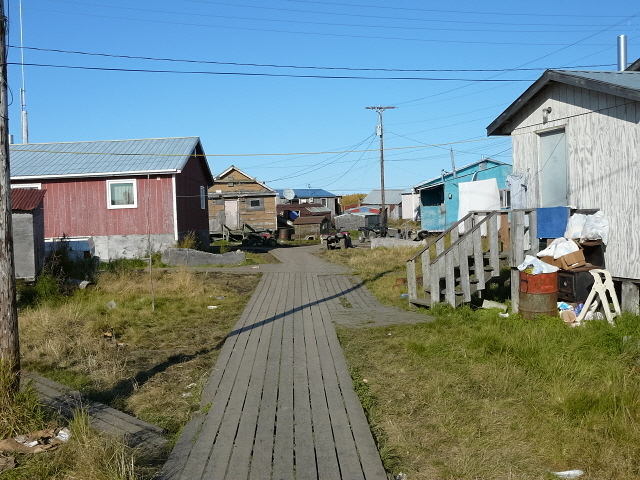 Certainly not all of the changes the people of southwest Alaska have gone through have been for the better. New diseases decimated entire villages, and early mission works and schools encouraged many Yupik to give up their language and native culture. 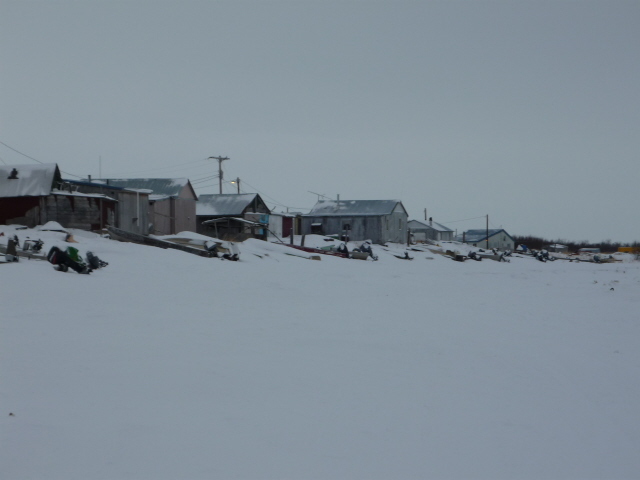 Changes in the past few decades have brought a heavy dependence on government funds and today many Yupik are struggling to regain their self-reliance. Caught between two cultures many young people turn to alcohol and drugs which has lead to countless tragedies. -The mortality rate in rural Alaska is 3 times the national average and many of those deaths are alcohol related. -Infant mortality and the rate of Fetal Alcohol Syndrome are twice the national average. -For Southwest Alaska and Bethel in particular STD rates are up to 10 times the national average. 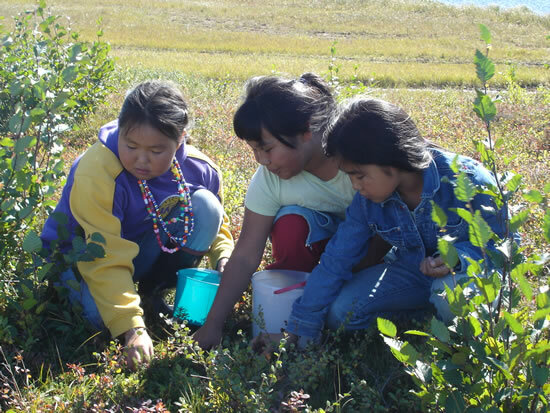 Try these links to learn more about the Yupik culture.